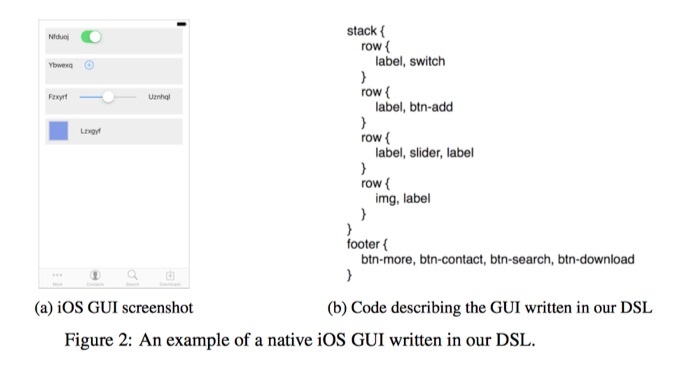 In this paper, we show that Deep Learning techniques can be leveraged to automatically generate code given a graphical user interface screenshot as input. Our model is able to generate code targeting three different platforms (i.e. iOS, Android and web-based technologies) from a single input image with over 77% of accuracy.